My fascination with the benefits of patient portals continues to grow as the technology continues to grow in popularity. Given their resurgence in popularity over the course of the last three or four years, and with the latest push for patient engagement through stage 2, clearly they have a very strong future in the practice of healthcare for the foreseeable future; probably until a game-changing technology moves us beyond the era of EHRs. Until quite recently, patient portals have been viewed as a novel concept, and, overwhelmingly, practice leaders and physicians kept coming back to how they were going to get patients to actually use the communication systems, and, likewise, what benefit would they deliver the practice if the patients used them. It’s safe to say we’re now living in a different time than even just a few years ago. People are more mobile, landlines have been cut and actually using a phone to make a call is essentially going to the way of the tube television. We’re in an always on society where access to information, regardless of the subject, must be had. As you’re well aware, portals don’t necessarily come automatically with your EHR; they’re not bolted on, in other words. They cost money in addition to what you pay for your practice management system and electronic health record. In some cases, they’re actually quite expensive, or have been known to be in a traditional sense. And, if the case could be made to invest in the technology (practice portals that is), the most obvious question often went unanswered: How can a practice bill for the time spent by its physicians when administering it and when responding to communications from patients, for example. I digress. This is all water under the bridge. Everyone knows this stuff. It’s been overworked and underpaid. The feds now require portals to play a huge part in health IT through meaningful use. Insurance companies are now jumping on board and allowing physicians and practices to bill for the time they spend administering data collected through portals, and patients have become so engaged in their mobile lives that it’s only a short matter of time before portals are utilized as heavily as online banking and ATMs, let’s say. When I began thinking about this post, I thought of grandiose ways in which I could depict the usability of the portal and speak to its ever-increasing importance to the world of heath IT, but I just don’t think I can sum up their benefits better than simply listing them, as they speak for themselves. Not a bad day’s work for a fascinating bit of technology that’s changing the face of healthcare IT. Will meaningful use Stage 2 reach patient engagement? Patient engagement now requires patient action. So says the Department of Health and Human Services in meaningful use stage 2. As a patient, your physician is counting on you to engage with him or her. It’s up to you, folks, to bring it home. Your physician’s incentive, and ultimately his or her potential non-penalty for Medicare, is on your shoulders. That’s an awful lot of weight to bear. Can’t you feel it? It’s overwhelming. I’m exhausted just thinking about it. Seriously, though, I’m confused. Someone please set me straight; seriously. Meaningful use is now up to the patient? Whether or not I choose to interact with my physician via electronic means determines his/her level of success as gauged by the government? I’m sure I don’t need to recite the language from the ruling, but I’ll do so for good measure. Is this a Ray Kinsella moment and HHS’ field of dreams? “If you build it, he (they) will come,” sounds the whispered voice across the sky. Cue the sound of rustling corn fields blowing in the wind as each of us imagine memories of our happy places where dreams live on forever. I am all for patient engagement and believe it will increase given time and effort behind it, but forcing me — as a patient — to do something makes me a little less likely to follow so easily along. I’m not a lemming, and I don’t intend to be. Sure, five percent seems like a manageable number; not that big of a deal. Surely, it’s just a few people, right? Until next time, when the number increases to 25 percent of the overall patient population then 50 percent then 75 percent and so on until it’s just mandatory. What might be the most troubling, though, is how this affects physicians and practices. Engaging patients to receive incentives and keep from being penalized becomes a marketing function, not a care function. Lastly, I’m reminded of the lines of credit card pushers lining the student union of every college in the U.S. trying to convince our young and inexperienced that credit is the same as cash, don’t you know. As noted on HealthWorks Collective, meeting this portion of the stage 2 requirement will take everyone in the practice, not to mention the support of those outside it. But portals can only facilitate access to patient’s information, but it can’t force the participation of people to do something they don’t want. Requiring physicians and their practices to encourage me to engage with my care providers is up to me, and no matter how useful or entertaining, whether I choose to engage is something I commit to on my own terms. Just because “they” build (read as “require”) it doesn’t mean I’ll come. Death by PowerPoint: Overly used templates filled with a variety of bland information that does little to emphasize the point of the presenter. In this scenario, slides are often filled with generic information that could have been excluded the presentation in the first place had the speaker actually taken the time to time the point he was trying to make. The oft used phrase is usually mentioned by physicians, practice leaders, members of the health IT community and nearly everyone to interact with a template-filled electronic health record. It’s derived from the seemingly endless clicking as a user navigates the encounter note in the respective system, or so the story goes. Click after click after click of the same, repetitive information in case after case, even if two patients present with the exact same conditions on the same day. No matter, when using a template system, you’ll be forced to re-key every piece of detail and click the exact clicks as the previous encounter, no way around it. I recently met Dr. Bob. Those of you with a Praxis system know who I’m talking about. In actuality, Dr. Bob is nothing more than a mascot for Praxis, which is the maker of template-free EHRs. Templates slowed Dr. Bob down. Dr. Bob felt more like he was becoming more like a data entry clerk than a physician. The Praxis system is written by its users in free text. The more it’s used, the easier the system is to use, remembering data from an earlier note and it essentially begins to auto populate certain data that can then be customized and changed given the varying scenarios encountered during the visit. The system allows you to enter a few minor details like condition or medication as you to build a case. The system remembers the details of each encounter and when you enter similar details again in the future, it helps you populate the field. And the “thinking” the Praxis system does on behalf of the user is essentially the same as what you’d find when using Google to search the web. For every search conducted, Google remembers your past searches and auto populates what it thinks you are attempting to find. And, as you type, Google offers suggestions for what you might want to see. From the demo, it’s clear the template-free system has its advantages and certainly would alleviate the some of the click, click, clicking. For some users, though, they may not enjoy the freedom the system seems to provide as it seems to provide the exact intuitiveness that so many EHR users seem to crave. All in all, it’s intuitive, fast, and – in my opinion – pretty slick. So, for those of you seeking more flexibility in your system and wanting to do away with the endless clicks and data administration, the Praxis system seems pretty cool. And for the record, Praxis had nothing to do with this post; the company didn’t know I was writing it. This one is on the house. Enjoy. While the final 50 or so percent of ambulatory physicians decide whether to implement electronic health records and others re-evaluate their technology plans, which may include switching the systems they use, it seems like as good of a time as any to continue the series I started about the steps that need to be considered when selecting an EHR. At this point in the process, you’ve obviously gained the understanding that it’s an arduous process and requires a great deal of planning. But, you know that. You’ve done the planning and you’re beyond examining how implementing the system will affect your practice’s workflows. So, when you’re gearing up to finally take the plunge, or if you’ve decided to get out of the water and dive back in, the Office of the National Coordinator provides the following guidance for moving forward with these EHR implementation tips. Clarify pricing of the entire implementation prior to signing the dotted line. You want complete pricing for all things including: hardware, software, maintenance fees and upgrade costs, interfaces for labs and pharmacies, cost to connect to health information exchange (HIE), customized quality reports, etc. If it’s offered, ask for the price and get it in writing. Every time the deal changes, get a new written quote. Like pricing, define implementation: amount of time, schedule of completion, and availability of trainers and what’s included in the training. Ask lots of questions about data migration and how much it’s going to cost. Ensure a structure for the data rather than simply allowing for a dump of information. “Clarify roles, responsibilities and costs for data migration strategy,” the ONC suggests. The amount of data you need to transfer, the more complex the process will be. Know whether you’ll be better off with on-site server or a hosted, Saas solution. Can the system be integrated with other systems easily? If so, ho much does it cost? Privacy and security capabilities and back-up planning: are there any? Is your proposed vendor stable? Will it be sold or divested? Does the vendor have a strong local presence? Are those practices leaders in the local market? Do you hear good things about said vendor? Can the system connect to an HIE? How much does it cost? Is the length of the initial contract much too long – like a five or seven year lock in – and does it potentially keep you from exploring alternative options should you need to make an earlier exit? Finally, according to the ONC, though it may seem a little off topic, “Consider costs of using legal counsel for contract review verses open sources through medical associations.” Nevertheless, seek legal counsel before accepting the vendor’s agreement. The best time to protect yourself from a poor decision involving the vetting and purchase and an EHR is during the shopping and review process. Take time at the beginning of the process to ensure you know what you’re getting, what you’re paying for and, ultimately, what type of vendor partner you’re going to get once the ink on the contract has dried. Some of the most concise, yet useful, information about health information exchanges must come from Medicity. In a “primer” page (that might be written for the HIE novice) there’s quite a nice bit of information about the importance of the technology. Obviously, Medicity is biased, as HIE is what it does, but I admit that after reading some of the points Medicity makes about the importance of HIEs, I’m sold (though I already was). As we know, health information exchanges help connect healthcare providers with information they likely would not have through paper records, and in many cases, not even with electronic health records as the EHRs are often fragmented or don’t depict the entire health scenario of a patient. As noted by Medicity, HIEs help create efficiencies in the care setting in many ways, primarily by helping make information available across many platforms and even across many care locations. Additionally, and I’m paraphrasing here: HIEs help reduce duplicate testing of patients; help create a more complete picture of a patients’ care and prior treatment protocols; and they help eliminate costs and fees associated with redundancies. The best case I can make for an HIE (probably for an EHR, as well) is a story from a former colleague. Her mother was diagnosed with an aggressive form of cancer. At best, she was given months to live. However, after multiple specialist visits, redundant tests, labs and scans delivered the same information as the previous test, the woman died just a few weeks after initial diagnosis. Moral of the story is this: according to my colleague, for every specialist she and her late mother visited, each one requested the same tests as the previous doc because the doc didn’t have an accurate, or complete, record. To make matters worse, the records were paper. My former colleague said the task of trying to assemble a complete care record was beyond arduous, not to mention difficult to construct given the red tape each practice had in place as the gate keeper of the records it kept. If only the information had been in a single repository, perhaps her mother wouldn’t have wasted so much time on taking the same tests and she could have received the care she needed, my colleague said. I agree. So does Medicity, which operates on the belief that HIEs change all of that. Simply and clearly put, HIEs “break down silos and make information available” to providers at virtually any location that’s connected to the HIE when the information is needed and required. HIEs, like EHRs I suppose, can change and possibly save lives. Interestingly enough, at least to me, is that HIE’s lag in favor or in the very least have a history of not being able to generate the support they need to thrive (perhaps survive?). 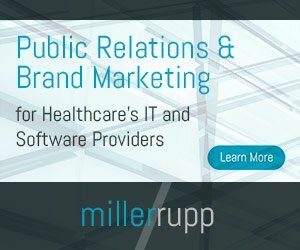 As the government continues to place more importance on the availability of health information through exchanges and electronic records, the market will find a way to monetize HIEs (probably the biggest hurdle vendors face when considering whether to develop technologies to support them). There are now, though, several vendors with their own HIE-like devices that can function within their EHRs the same way their patient portals work. They are able to trasmit data to other users of their company’s specific technology. As these vendors continue to develop their own HIEs, and try to sell them, it will be interesting to see which technology – private or public – will be adopted by the healthcare community. A special day here today; time to reflect on the direction of one’s life and its path. The past, its present and the future. It’s a hard process sometimes to think about where one has come from and, and most difficulty, where one is going; where one wants to go. My time off the grid today was spent with those that matter most, because I could. Left it all behind and felt like I went back in time before technology placed me in the always on mentality. It felt nice taking the time to focus on other priorities and spending time disconnected. Have to admit, the time away did make me think about life back on the ranch, though. Specifically, the promises told of health IT and how they make the lives of those who use the systems in their professional lives better, easier and efficient. It might be a bit cliché by now, but during my time serving the health IT industry and its professional partners, I’ve told and been told countless times how systems like EHRs allow physicians to practice more effectively in a shorter amount of time and essentially lock up shop within minutes after the final patient has left. In fact, I’ve seen testimonials by clients of one vendor say nearly this exact thing, and I understand from personal experience that this can be an actualized reality if a proper plan is put in place and a procedure is established for getting there. And, just recently, in this forum, I featured Dr. David DeShan who is now able to follow his dream of heading up a medical mission in Russia while also maintaining his partnership at a practice in Texas, all because of his EHR. So, despite all of the marketing speak and the canned comments, the question is: Do these healthcare technologies actually allow providers a better quality of life? Are you able to hit the road a lot sooner now that you have a system in place or are you just a workaholic and despite the tools you have you’ll always find a way to work more than you should? Does health IT make your lives easier? Are you able to spend more time with loved ones or more time on the links? Are you more flexible and able to live a richer more fulfilling life because of your technology or is it all wishful thinking as far of you are concerned? Finally, have you been able to create more balance between work and personal life since you implemented your system and implemented equipment like tablet PCs or has access to work information while on the run been that more pressure on you to perform. My situation is different, obviously. I simply turn off my computer and ignore my phone. I’m not in the business of saving lives; I just help people and companies tell their stories. I’d love to know, once and for all, does it really matter or are these “potential” benefits just a bunch of marketing speak? When I go to the doctor for a check up of another ailment, I understand that the record kept regarding my care is ultimately mine. Not because I’m told, not because I’ve asked (though I have on some occasions), but because the information collected comes from me. Without my providing it, my physician would not have it to keep it. Maybe it’s my make up, but I pride myself on knowing what others often consider trite and trivial. For most, knowing who owns their health record is exactly that, trivial. Interestingly, though, is that for every person with a health record, there are the same number of people with a care provider to tell them that the record is theirs. So why then doesn’t everyone know that their health record is theirs? I don’t think the answer to this question lies in the patient apathy or the population’s potential indifference toward their health outcomes. Innately, I believe people do care. The point I’m making here is that I think the ONC’s latest effort to market direct-to-consumer (DTC) information is well intentioned but perhaps the burden for doing so is misplaced. Do we think physicians and their practice colleagues should be spending their time doting on the ownership of their patient’s health record? Is anything other than patient health and outcomes a priority they should be focused on? The ONC thinks so, and given meaningful use and the increased pressure providers face to record and provide results of meaningful health outcomes, physicians are being arm twisted to ensure this level of grassroots marketing provides the ends to the ONC’s means. Certainly, we as consumers must continue to receive information and education to keep us informed about the world of health IT. It’s true that very few actually understand just how far back healthcare technology is from the mainstream in regard to use of technology. But, as I’ve said before in this very forum, should all of the responsibility for this lie on the providers’ shoulders? Not so, in my opinion. Sure, physicians and care givers can be advocates to consumer enlightenment, but more of the responsibility really should go to the health IT vendors. After all, they are the ones selling the products to the physicians. It behooves them, and enriches them, the educate consumers to the value of the systems’ worth and how help improve health outcomes. Sending this message to consumers, and helping to educate them of the benefits of these systems, will go a long way toward convincing them that their physicians need the systems. If consumers find value of these systems, they’ll let their wallets do the talking and give their business to physicians and practice that employ health IT. And, if the physicians are truly going to be “the sales force for health IT,” perhaps it’s time the vendors started incentivizing these walking billboards the ONC wants them to be.